Longtime Washington State political figure Charles Rolland died yesterday at age 61. Rolland was a former chair of the state Democratic Party and former Deputy Chief Staff for Seattle Mayor Norm Rice; media accounts confirm that no cause of death has yet been announced. The state Democratic Party issued a statement praising Rolland as "at the center of many major political events in the state, filling the strategic advisor role for a number of campaigns, businesses, public figures, elected officials and initiatives." The statement said Rolland was currently working as a community organizer and owner of a public affairs consulting practice. 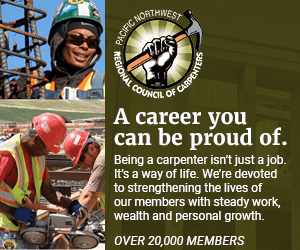 Rolland was founder of Community and Parents for Public Schools of Seattle, and worked with the small contractor community, partnering with the public and private sector to develop policies and programs to increase the utilization of small economically disadvantaged construction businesses.